Let's be honest — your favorite accessory is your phone. You can take #OOTD photos, look at Instagram for outfit inspiration, and, of course, shop. That's why we dress up our tech in the most stylish cases out there, so our phones can be as stylish as we are. We've rounded up the most fun and fashion-forward cases so you can find one that fits your lifestyle and taste. From kitschy Moschino bears to chic Marc Jacobs sophistication, we're sure you'll find one that you love. 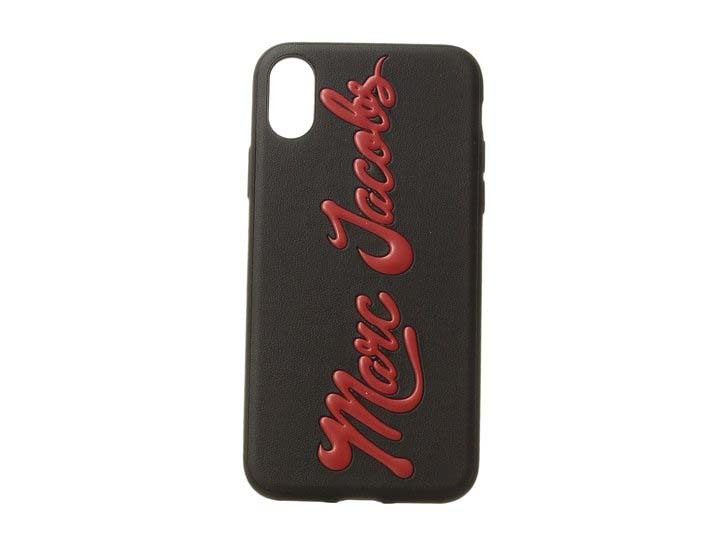 Keep reading to see a bunch of fun cases from your favorite brands. Smile all day long with the Rebecca Minkoff Emojis Glitterfall Case For iPhone 7 ($40). 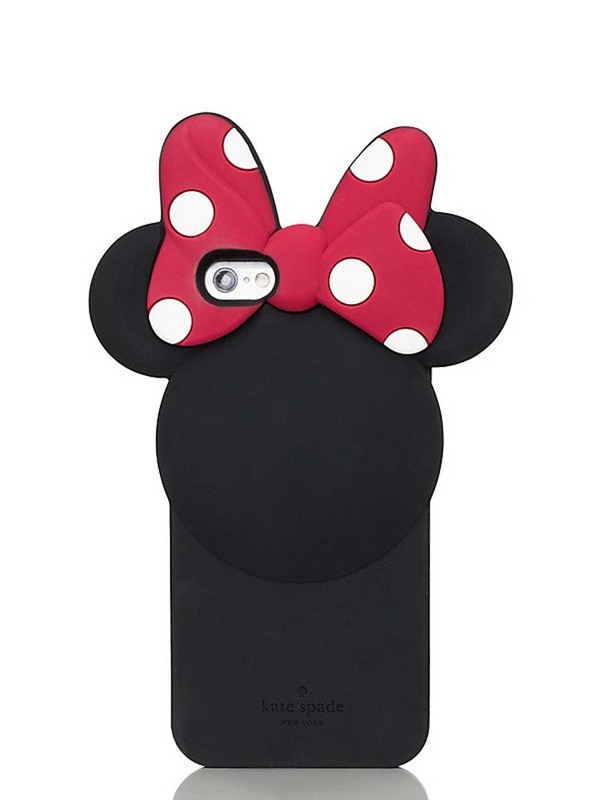 Carry your ultimate style inspiration with you by buying the Kate Spade For Minnie Mouse iPhone 6 Case ($50). 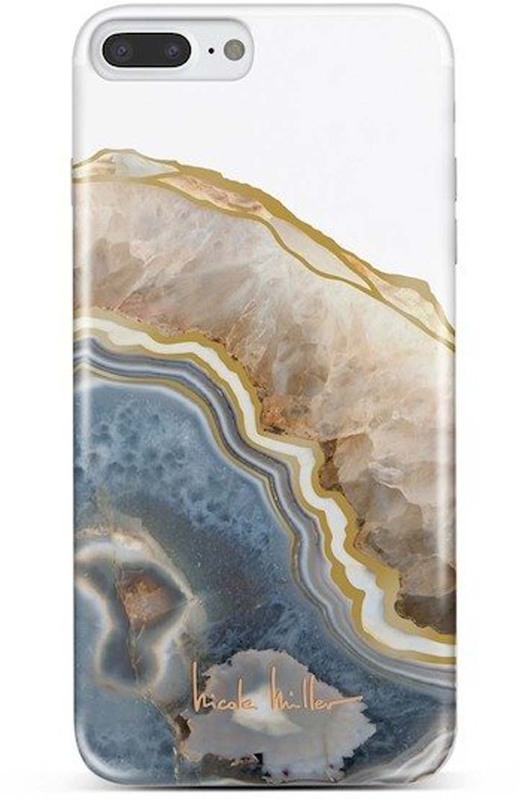 The sleek Nicole Miller Blue/Gold Agate iPhone 7 Plus Phone Case ($15, originally $30) is sure to earn compliments. 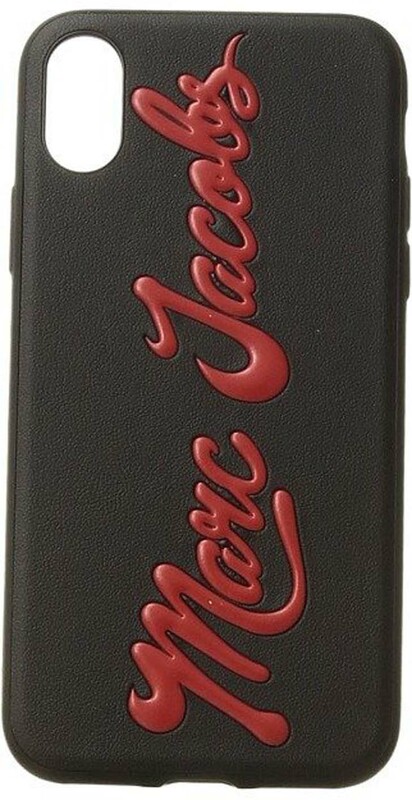 Show off your favorite brand and your brand-new phone with the Marc Jacobs Glossy Marc Embossed iPhone X Case ($50). 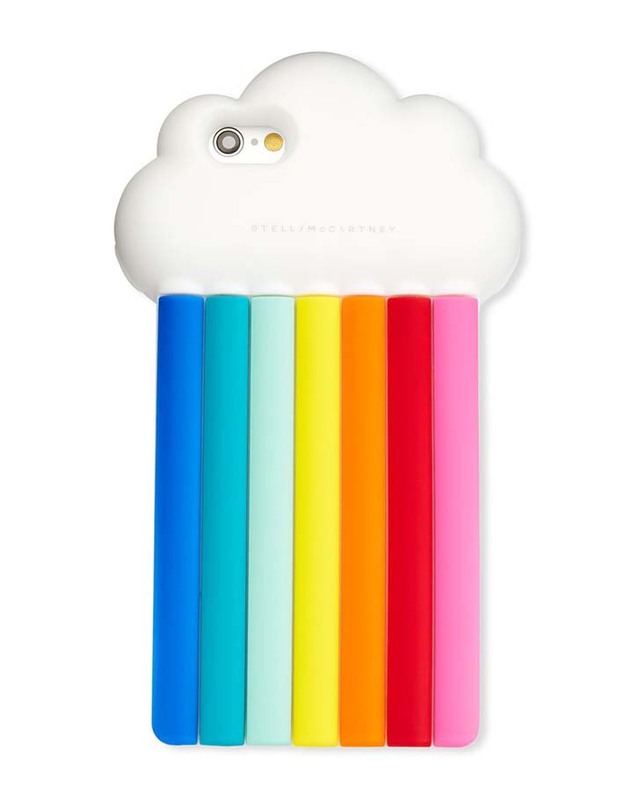 Wear the rainbow trend on your phone with the Edie Parker Rainbow iPhone Case ($45). 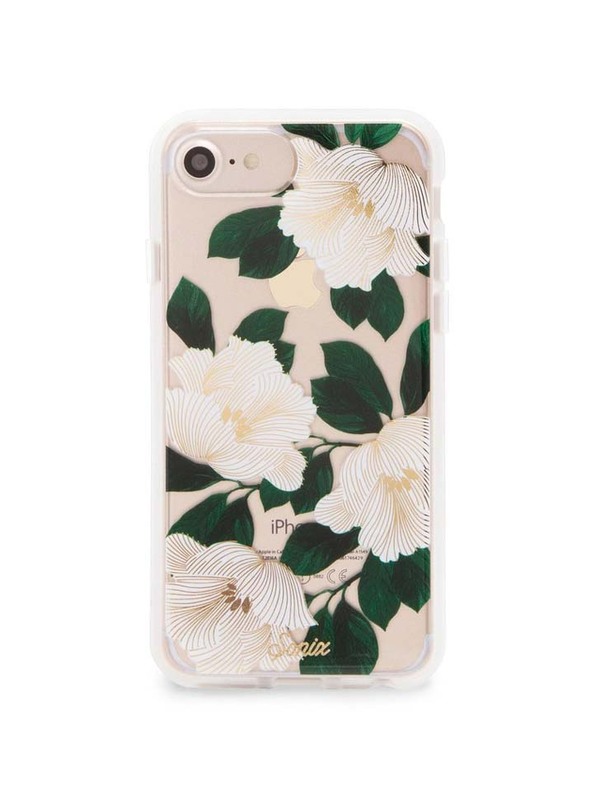 Dress your tech in florals with the Sonix Tropical iPhone 8 Phone Case ($40). You'll never stop smiling when you carry this Moschino bear around with you. 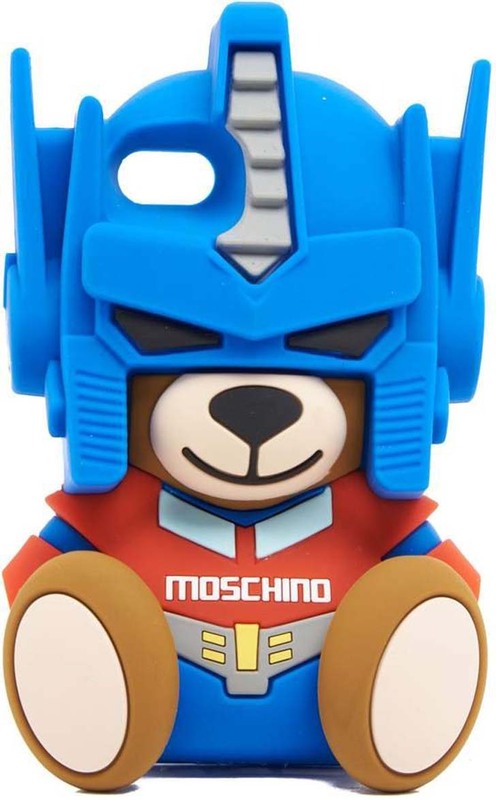 The Moschino iPhone Case ($49, originally $89) has the iconic bear dressed as a Transformer. 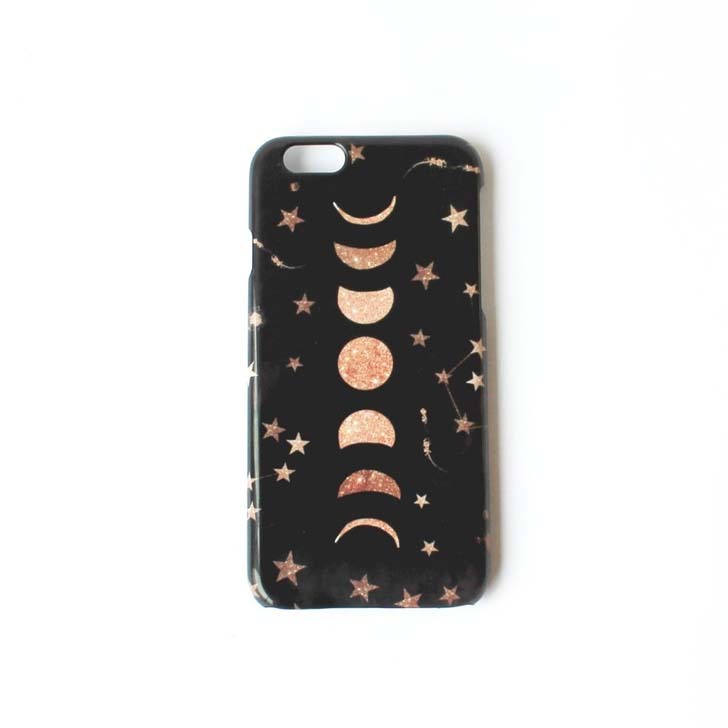 Add some celestial magic to your device with the Nikki Strange Phases of the Moon & Stars Galaxy Phone Case For iPhone & Samsung ($35). 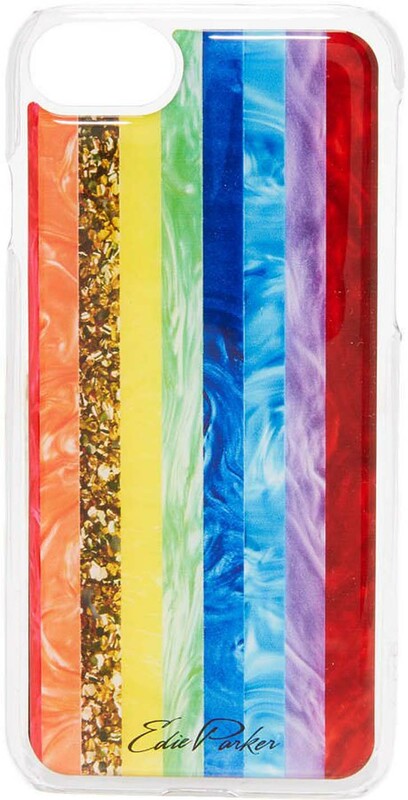 Add some happy to your life with the Stella McCartney Rainbow iPhone 6/6s Case, Multi ($29, originally $85). 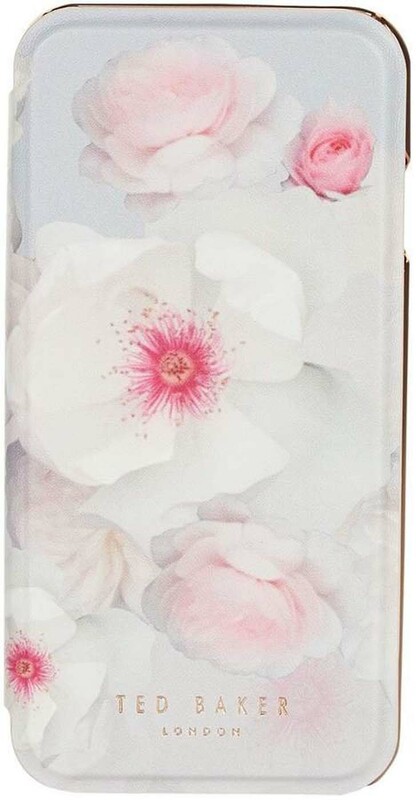 Take your millennial pink obsession to the next level with the Ted Baker Shanna Chelsea iPhone Case ($44). High fashion meets Disney with the Givenchy Bambi iPhone 7 Case ($53, originally $95). The brightly hued Maison Kitsune Ines Longevial Fox Phone Case ($27, originally $54) is ideal for a modern aesthetic. 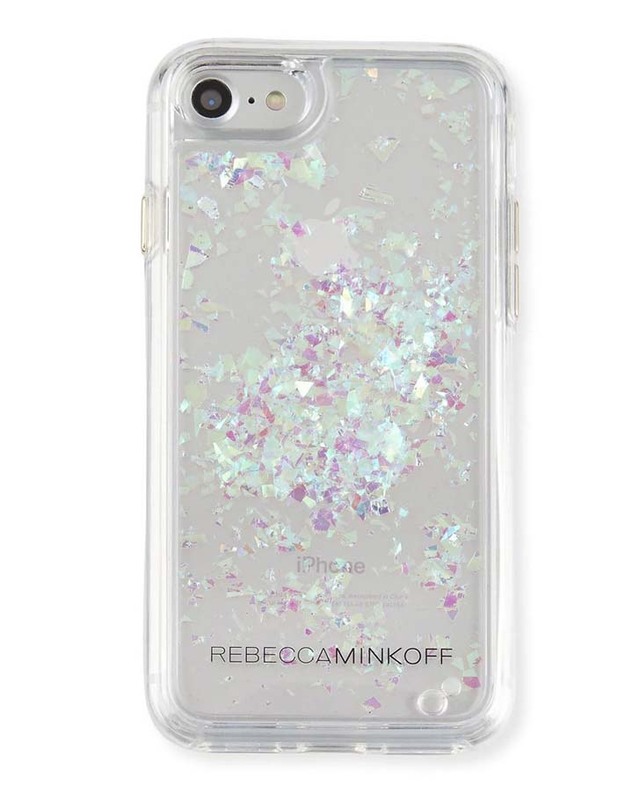 Lovers of everything sparkly will be entranced by the Rebecca Minkoff Waterfall Glitter Phone Case ($14, originally $40). 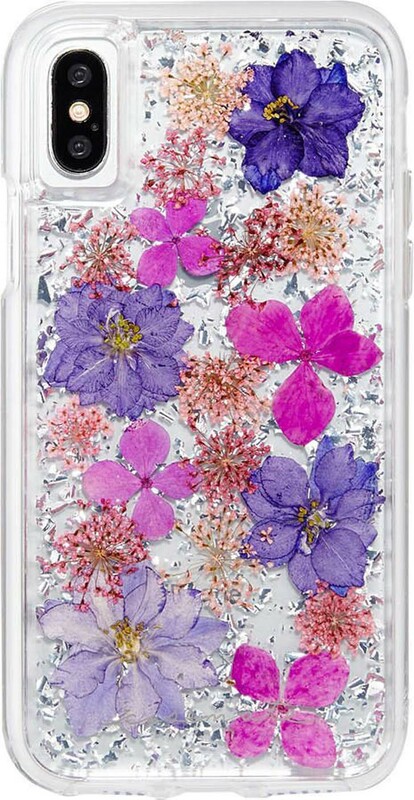 Take nature with you thanks to the Case-Mate Petals iPhone X Case, Purple ($60).